DJEquipmentChicago Finance - Get the Equipment you need, at the best prices with time to pay! 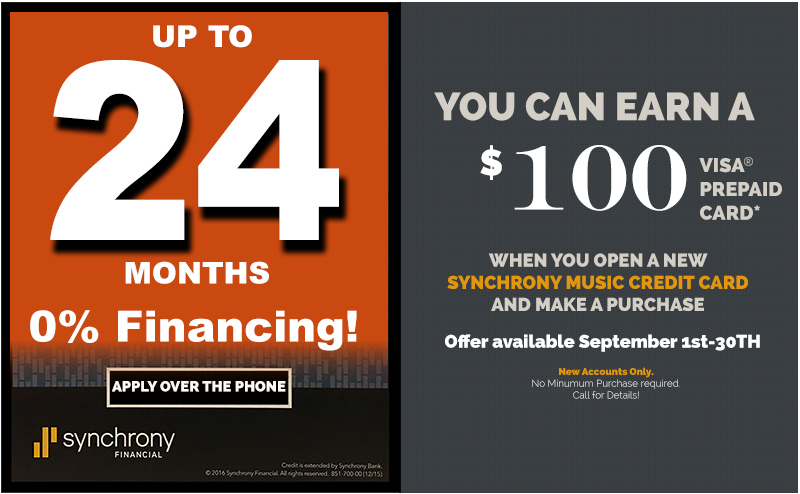 Offering 0% Financing on 6, 12 & 18 Month Plans! #1 - If you've never used PayPal Credit before, apply for instant approval by clicking here. #2 - Once approved, add items you wish to purchase into your shopping cart and then simply checkout on our site making sure to choose PayPal as your payment method. #3 - You will be directed to the PayPal site directly to finish the PayPal payment part of the order, make sure you select "PayPal Credit" as your funding method to ensure you receive the interest free promotion. #4 - If PayPal Credit is not listed in your PayPal account as a payment/funding method you may need to link your PayPal & PayPal Credit accounts by clicking here. Offers vary depending on where you shop and how much you spend. Interest will be charged to your account from the posting date (which is usually within a few days of the purchase date) at your current Annual Percentage Rate (APR) of 19.99% if the purchase balance is not paid in full by the promotion expiration date. The Deferred Interest Summary section of your Statement will help you keep track of promotion expiration dates. If approved, Comenity Capital Bank will extend credit to you for the amount financed to pay for your purchase. Comenity Capital Bank will pay the merchant on your behalf for the purchase. For purchases over 10k or more we also offer Commercial Financing. Whether it’s a Stage Truss, DJ Lighting, Line Array System, DJ Cases & Racks or recording gear, our Commercial Financing options are for business groups only. Business tax ID# is required to apply. No obligation by Applying.Instant Credit Decisions for ALL your Business Equipment needs!